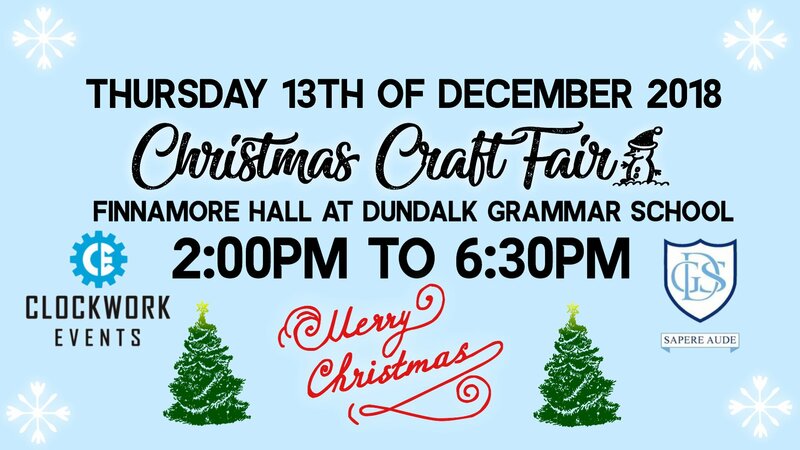 Dundalk Grammar school are inviting the people of Dundalk and further afield, to join them for the fun and festivities at their upcoming Christmas Craft Fair, that takes place on Thursday December 13, 2018. This annual event promises to supply plenty of festive spirit, crafts made by the school's students, music, teas and coffees and much more. The fair takes place on December 13 from 2:00pm to 6:30pm in the Finnamore Hall at Dundalk Grammar School. This year the school are encouraging everyone to come and celebrate with them, the hard work of the school's students.